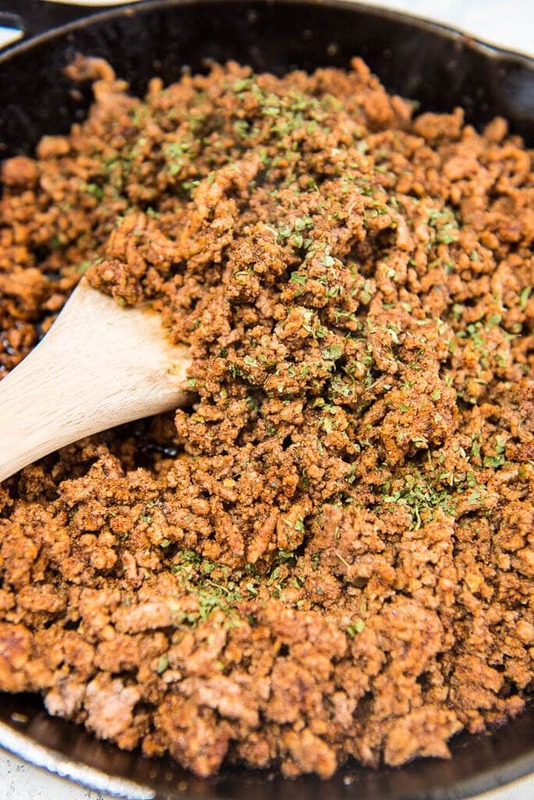 This is the BEST Homemade Taco Seasoning Recipe out there! 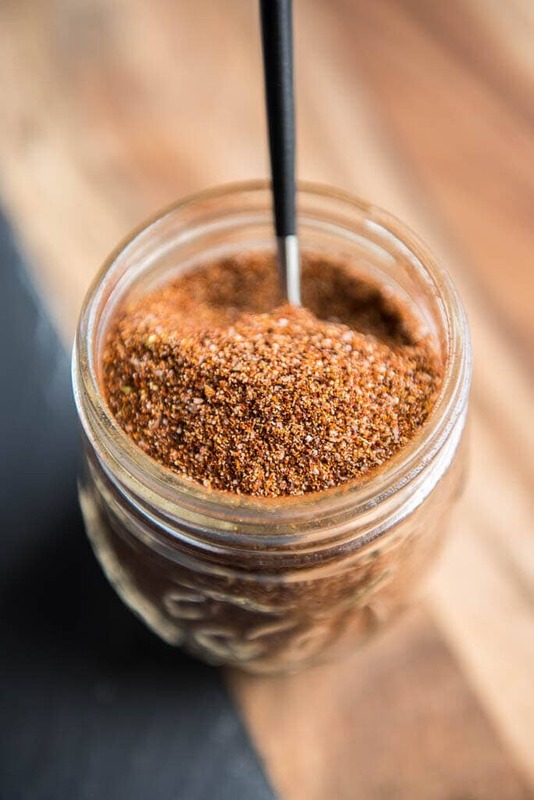 The perfect blend of simple pantry spices so you can mix up a batch anytime, you will never run out of taco seasoning again! If I could ask just one thing of you, something that I would love for you to try if you never have, is to make your own seasoning blends. That’s not to say there aren’t amazing seasoning blends out there to buy. There are and I do buy and use them often. But making your own can be so simple and easy and allow you to have control over the ingredients. Not to mention, when recipes are made with a blend of spices you are likely to have on hand, they can really save the day. Picture thawing out your hamburger and promising your family tacos for dinner, only to realize you don’t have any more seasoning packets? 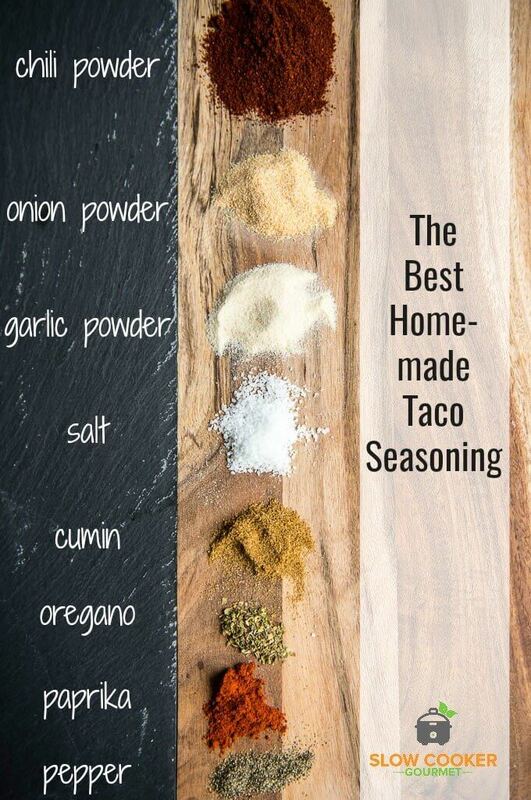 Homemade Taco Seasoning will save the day, it is truly the best! 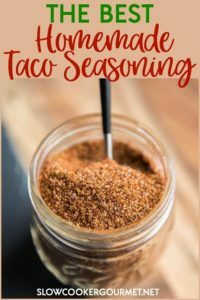 I have tried just about every taco seasoning blend I can find and this homemade taco seasoning ranks right up there with the best! 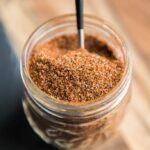 This homemade taco seasoning is so simple to make and uses common spices you probably already have in your pantry! It is much easier to make on your own than to hunt down specialty blends. Make a large batch, store in a dry airtight container and you will always have it on hand when needed! It takes minutes to make and is a cost saver compared to specialty spice store blends. 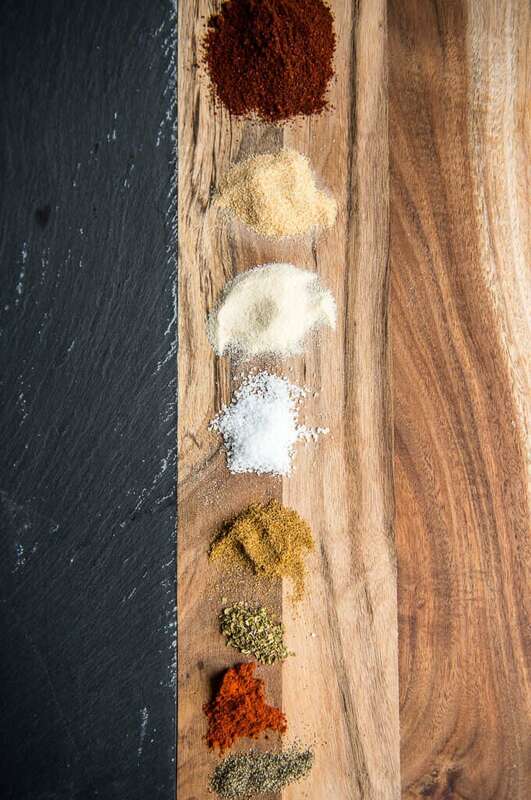 I feel I should point out this easy and tasty seasoning mix is good for so much more than just tacos! I use it on all kinds of meat, in soups and so much more. 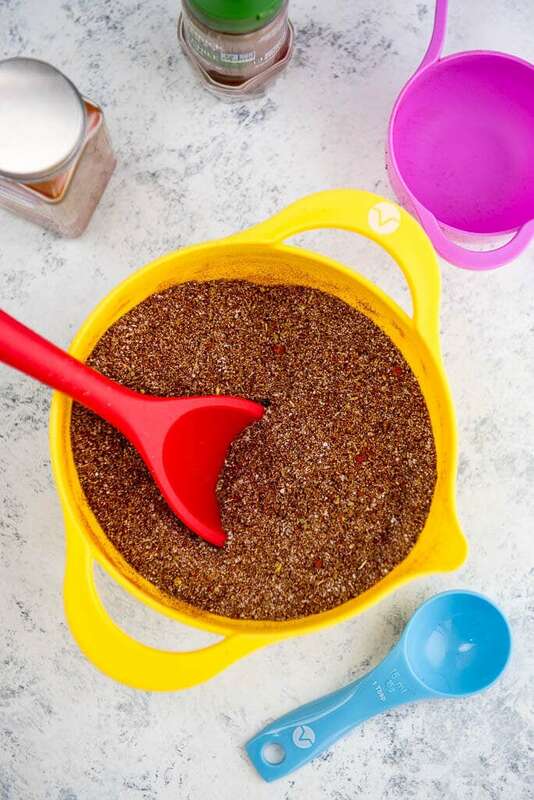 Try my homemade taco seasoning in these delicious dishes today! If I’m trying to make a seasoning that’s not mild but a little hot do i just add more paprika or would I add red pepper? You could add some cayenne, crushed red pepper or chipotle chili powder to taste. I like this mix because of the amount it makes but found it disappointing. Too much salt, not enough kick. Will add red pepper and try to fine tune it. Thanks. I strated making my own mixes last summer. It’s so much cheaper and no preservatives. Hi Pam! Thanks for the feedback. It’s definitely not meant as a spicy mix as I want it to be kid friendly, but you could add some cayenne and chipotle if you want to spice it up. I’m so happy to hear that you’re a fan of making your own seasonings mixes. I’m living outside the US right now and am desperately seek a chili powder blend. I’ve found a lot of recipes for taco seasoning but all of them call for chili powder (which my research shows is a spice blend). Do you have a recipe for chili powder???? From what I understand, there is chili seasoning (which has other stuff like cumin, etc. and is for making chili) and then there is chili powder, which should just be chili powder. That is what I use, and I know you can order it from Amazon too if that helps?! “You might be surprised to know that chili powder is actually a blend of herbs and spices. Ours begins with whole, ripe chili peppers, toasted and mixed with ingredients including cumin, oregano, garlic and salt. ” So I’m back trying to get a basic “chili powder” recipe – and again chili powder, as it’s known in the US, is not available here. good to know and thanks for sharing this!! I think you’d be totally fine to use the blend. If needed you can adjust the additional herbs and spices to taste. Is that the amount of salt for one serving? Is this a mild, medium, or hot mix? I only use mild. That’s awesome! How did it turn out for you?